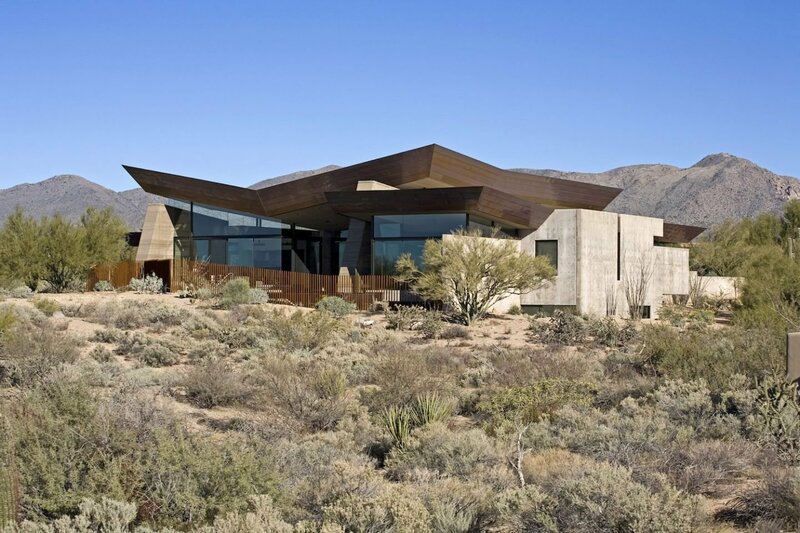 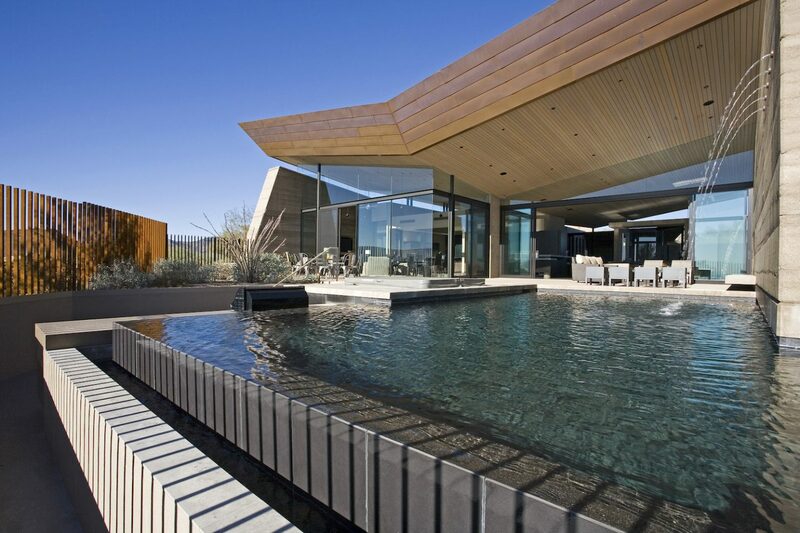 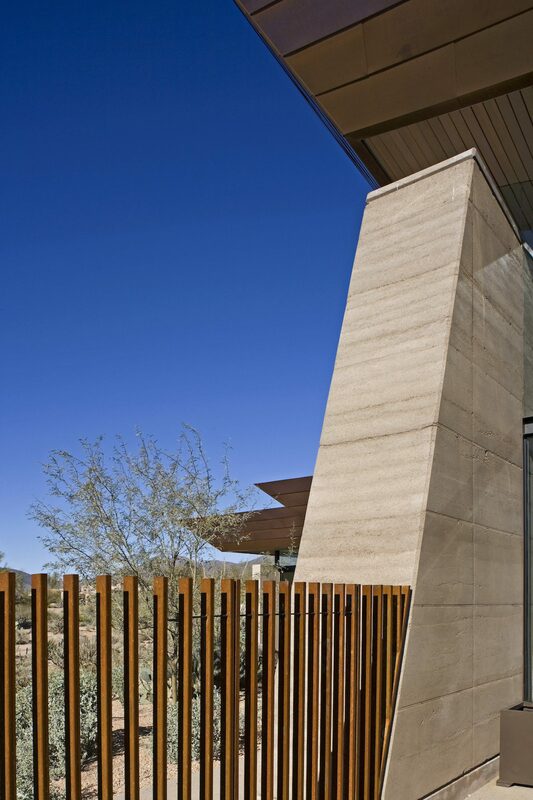 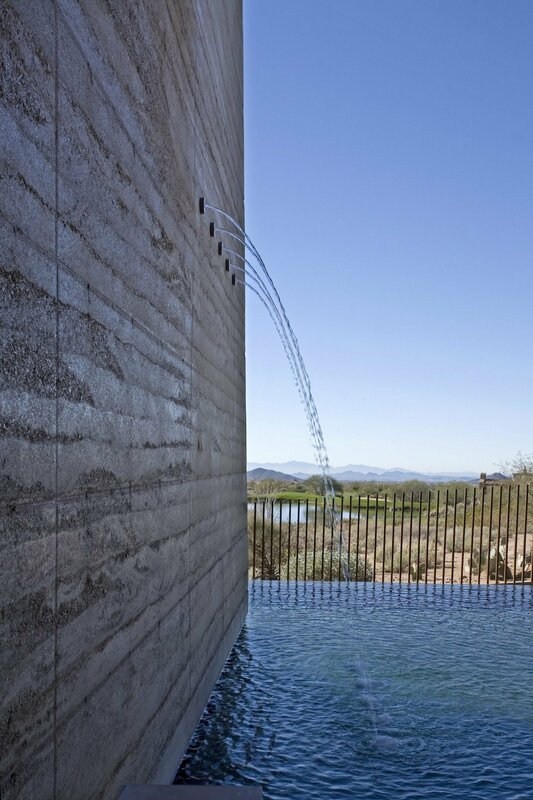 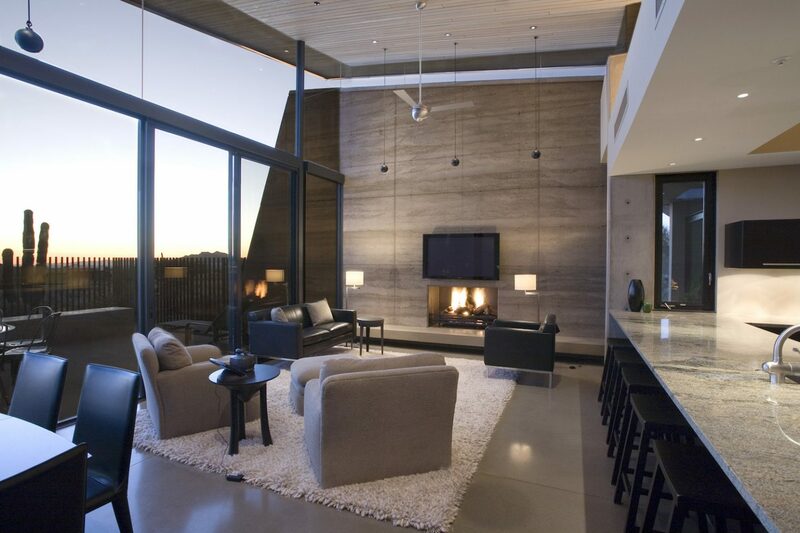 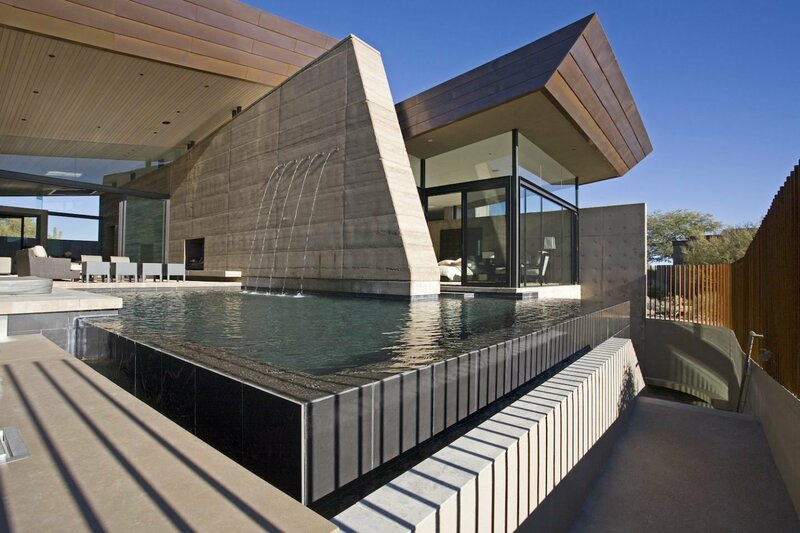 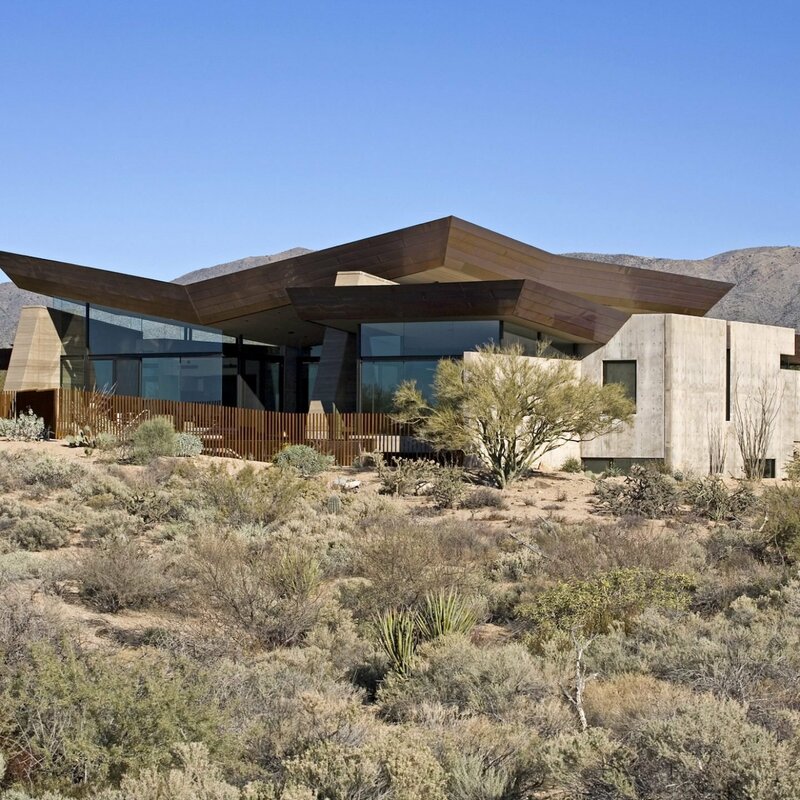 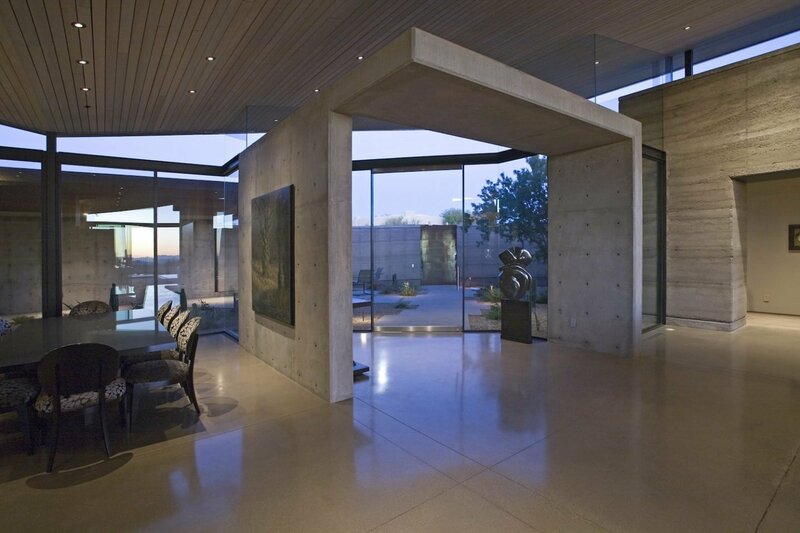 Located in Scottsdale, Arizona, ‘Desert Wing’ is a 8,300 square foot contemporary minimalist single family residence, designed by architect Brent Kendle of Kendle Design collaborative. 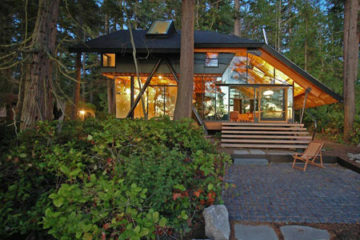 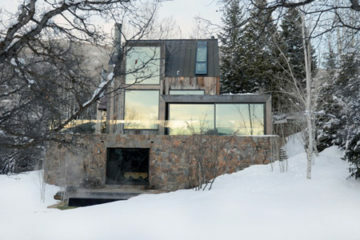 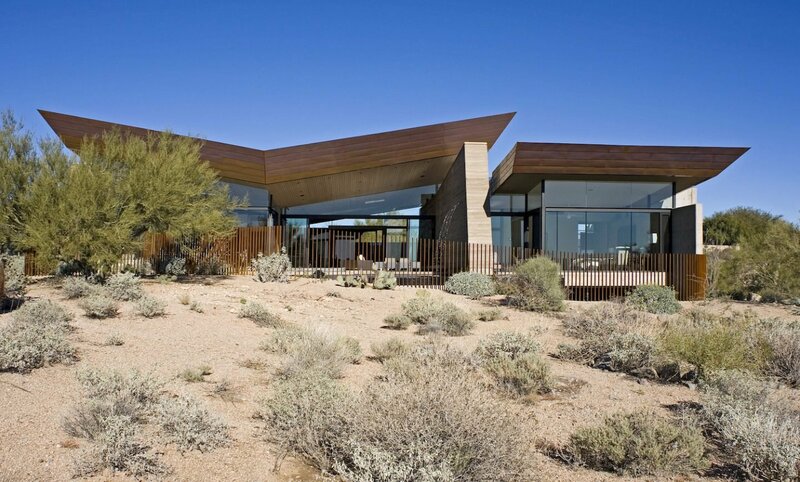 Built on an acre plus site overlooking a golf course, the house is derived by programmatic and climatic features. 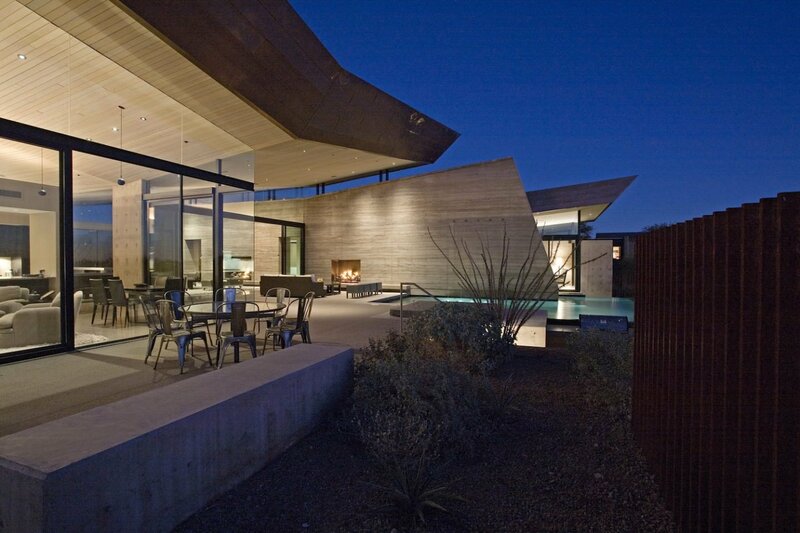 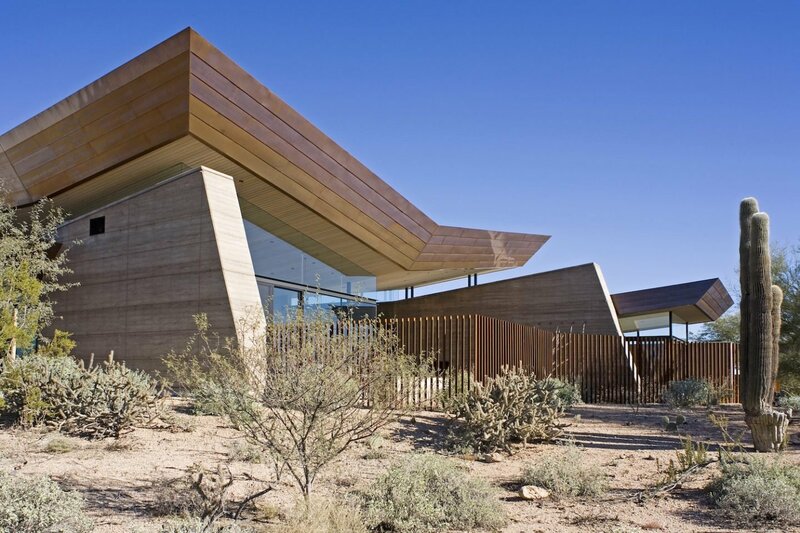 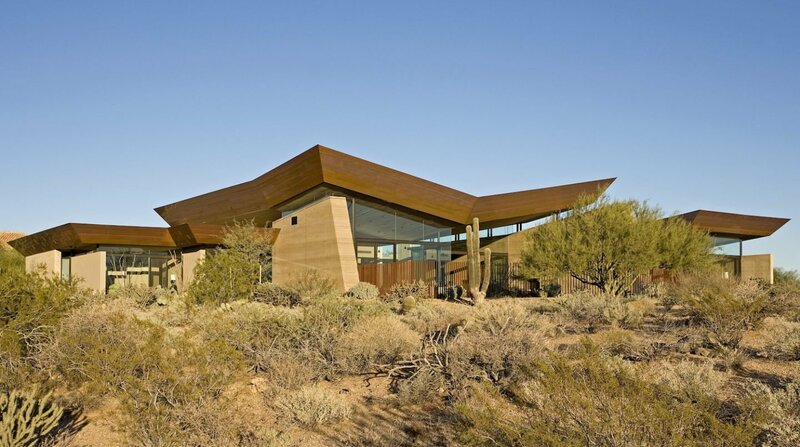 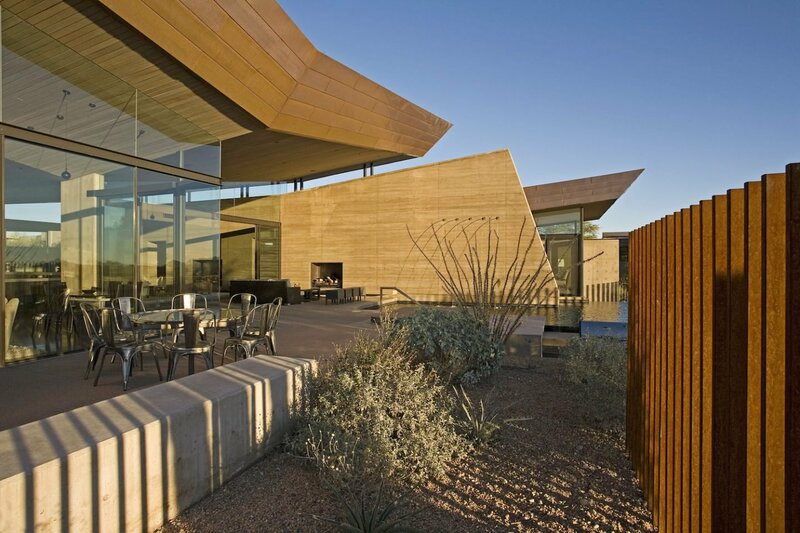 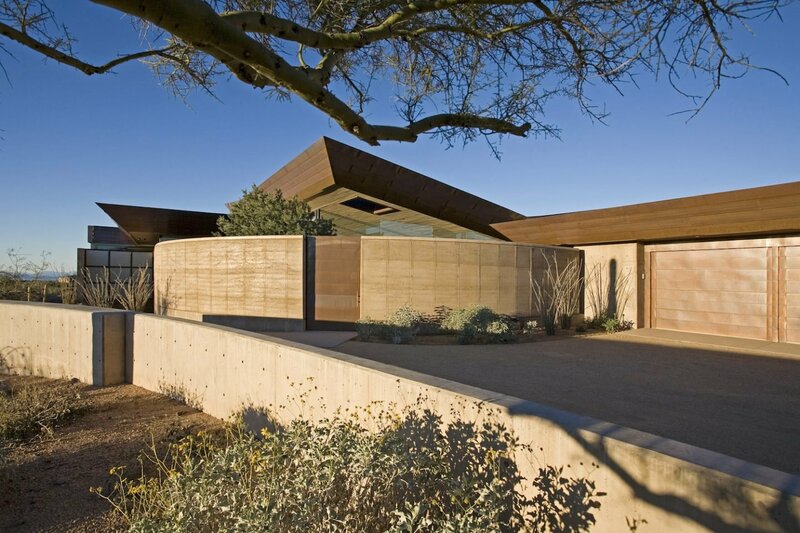 Large roof overhangs and massive rammed earth walls enable keeping it cool in a desert environment. 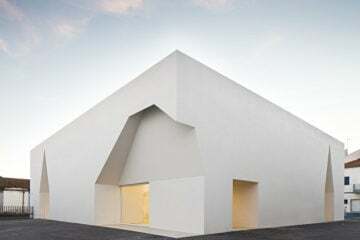 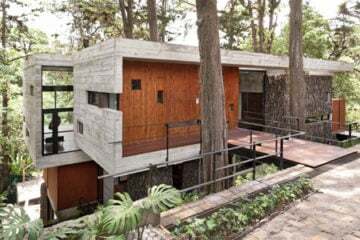 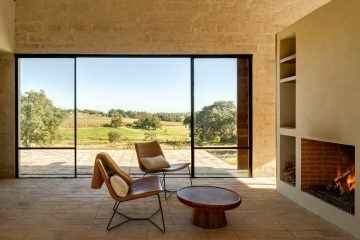 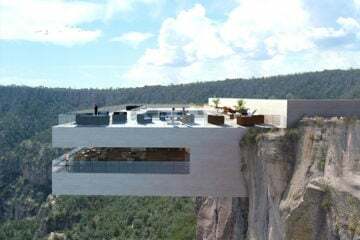 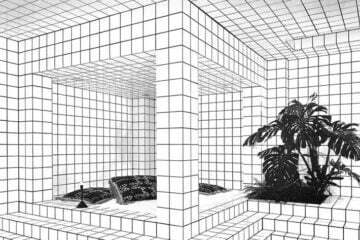 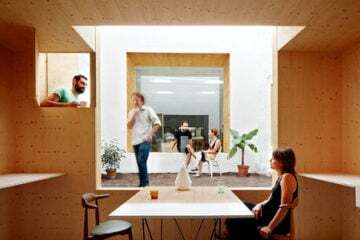 While having a large surface, the design significantly reduces its impact by using soil from site to construct the walls. 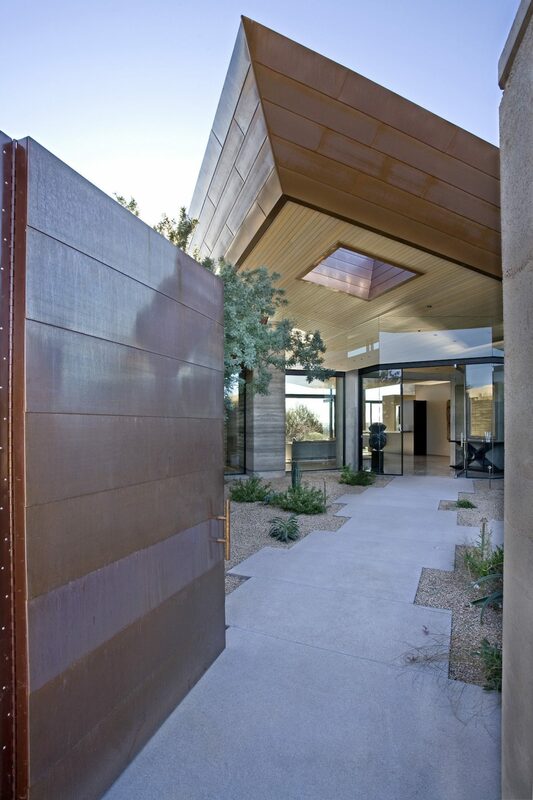 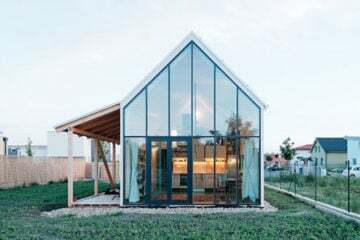 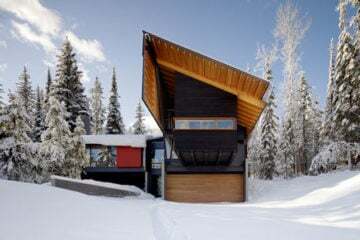 The generously cantilevered copper-clad butterfly roof keeps the home’s floor-to-ceiling glass in the shade and provides sufficient outdoor space. 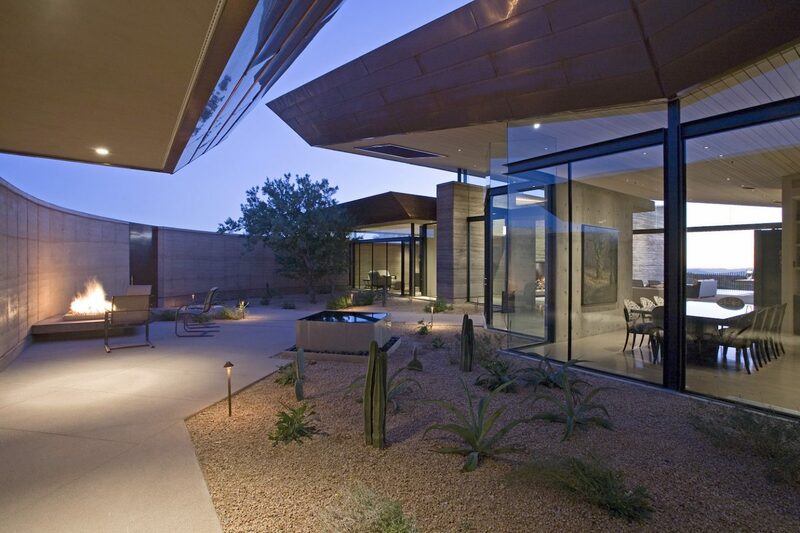 Landscape courtyards to the east allow both privacy and promote outdoor living.